Hayden White - University Professor Emeritus at the University of California, Santa Cruz, a world famous American theorist of history and cultural critic known for his analysis of the literary structures of historical works, on Thursday, March 7th, 2013 at 5.oo pm at the Dapartment of History, ul. św. Marcin 78, 61-809 Poznań, room 118, will conduct a master seminar: "Sincerity, Authenticity, and Truth in Witness Discourse." Some questions in the ethics of historical discourse: does the testimony of survivors of events like the Holocaust demand or require a handling different from that which historians utilize in the treatment of other kinds of historical documents? How can the testimony of survivors or surviving writings of victims be integrated into historical discourse without, on the one hand, aestheticizing or fictionalizing them, or, on the other hand, transforming them into mere documents? We will consider writing by two survivors: the writer Primo Levi and the historian Saul Friedlander (Nazi Germany and the Jews, Vol. 2: The years of Extermination). 2. Saul Friedlander, Czas eksterminacji. Nazistowskie Niemcy i Żydzi 1939-1945, przeł. Sławomir Kurpisz, Krzysztof Masłowski, Anna Maria Nowak. Prószyński i S-ka, 2010 (zwłaszcza "Wstęp" oraz roz. 1: "Wrzesień 1939–maj 1940''). 3. Hayden White, "Realizm figuralny w literaturze świadectwa", przeł. Ewa Domańska, w: Proza historyczna, pod red. Ewy Domańskiej. 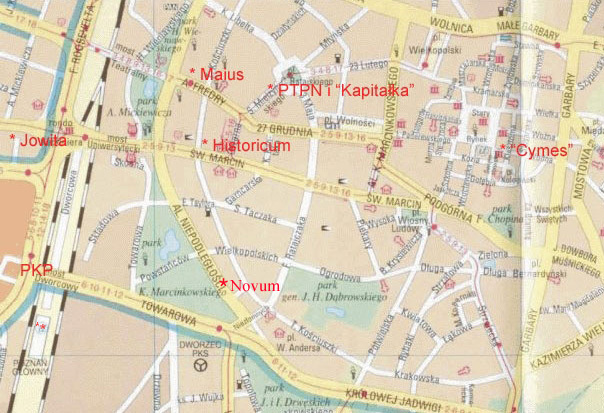 Kraków: Universitas, 2009: 201-219. Hayden White, Professor Emeritus at the University of California, is one of the most influential theorists of historiography. His essays on historical representation and narrative discourse have strongly contributed to a "narrative turn" in the study of historical thought. The author of Metahistory (1973), Tropics of Discourse (1978), The Content of the Form (1987), and Figural Realism (1999), and The Fiction of Narrative: Essays on History, Literature, and Theory, 1957-2007 (ed. by Robert Doran, 2010). White has also published recent essays on historical fiction, witness literature, and Holocaust representation. Poetyka pisarstwa historycznego, pod red. Ewy Domańskiej i Marka Wilczyńskiego, wyd. II uzupełnione i poprawione. Krakow: Universitas, 2010, pp. 392. Proza historyczna, pod red. Ewy Domańskiej. Kraków: Universitas, 2009, pp. 380.